Here a YouTube video needs to be displayed! You activate the video function using the following button, whereby you use the provider Google and (at your own risk in terms of data protection ;) share data with it. 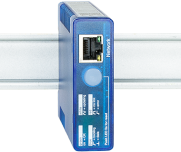 The pure.box is an industrial communication and automation server for DIN rail mounting. It is set up using a user-friendly Web interface and so is ready to use in just a few moments. Google’s programming language Go can be learned quickly thanks to the clear syntax. The uncomplicated approach to the concurrent programming, the comprehensive standard library and the native support of many target platforms make Go a powerful tool for developing individual communication and automation applications. Together pure.box and Go form a convenient platform for fast development of solutions from the fields of automation, control and monitoring. After installing and setting up GO, this tutorial will show you how to create a simple Hello, World for the pure.box. Installation and setup and Hello, World - on a Linux operating system. The Interactive Tour of Go, the online documentation and involved community provide orientation in the Go universe. 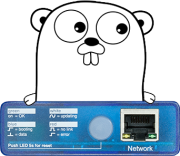 Test-Drive Development (TDD) in the free LiteIDE: This tutorial explains daily work with Go. This communication and automation server for DIN rail mounting runs your application directly in the field. The ARM-Linux system with the low energy consumption is set up using a user-friendly Web interface and is ready to use in minutes. We would be pleased to put you in touch with a dedicated developer from our partner network.